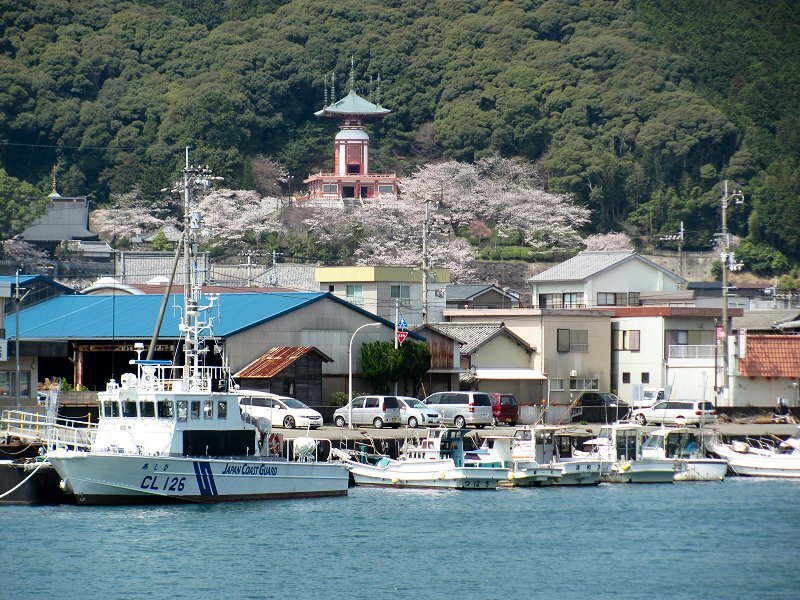 Sunny day in Tokushima, Shikoku island, Japan. 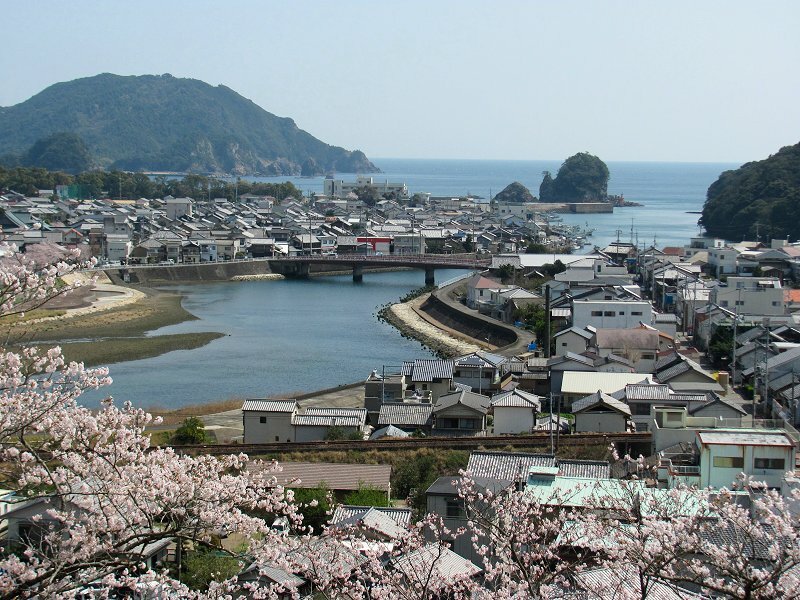 Took the train to Hiwasa town this morning with David Moreton for a visit to Yakuo-ji (Temple 23 on the Shikoku 88 Temple Pilgrimage) and a walk along the cliff-edged coastline via the Shikoku no michi. 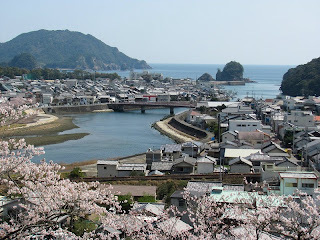 This is a view of Hiwasa town from Yakuoji. 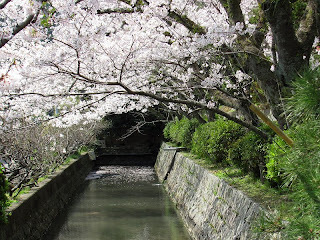 The sakura (cherry blossoms) were out in full force at Yakuo-ji. 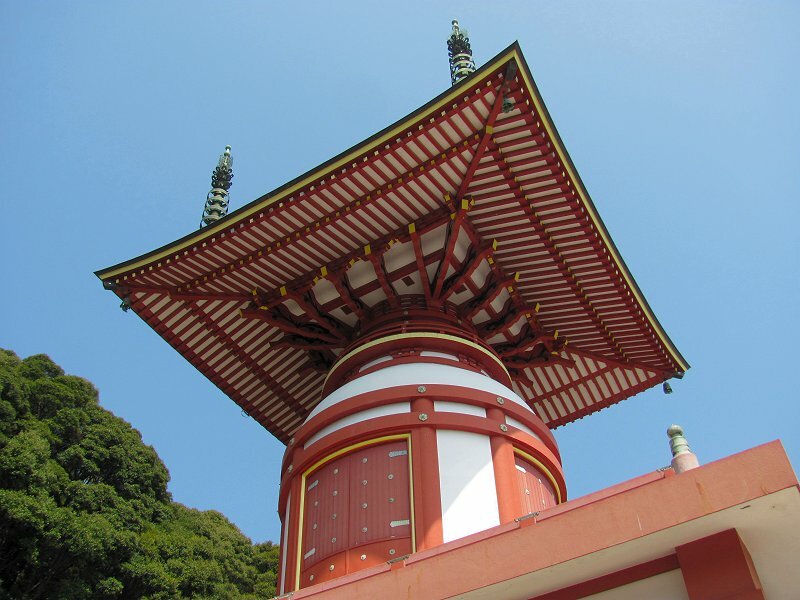 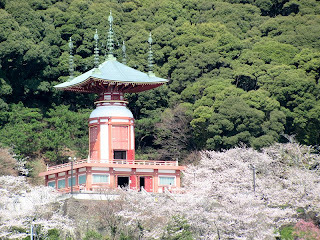 The distinctive pagoda at Yakuo-ji. 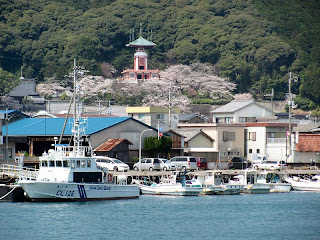 Yakuo-ji as seen from across Hiwasa's harbor. 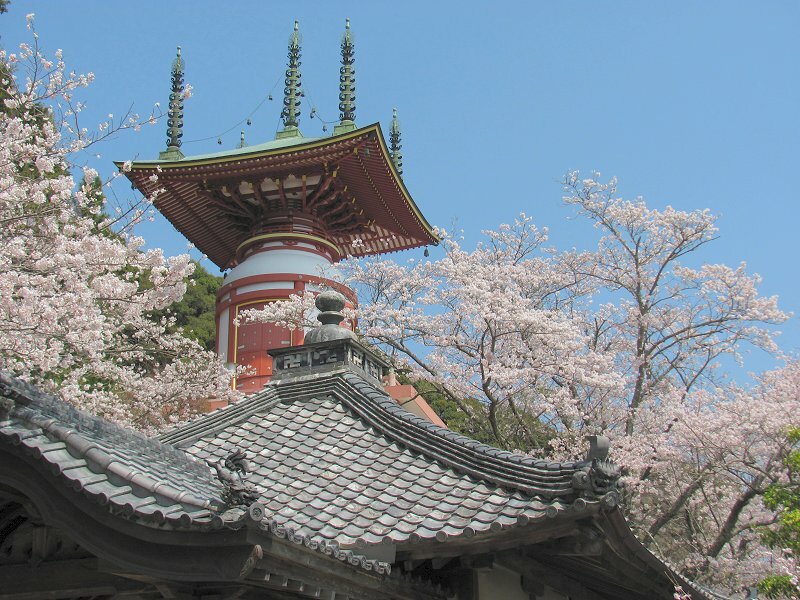 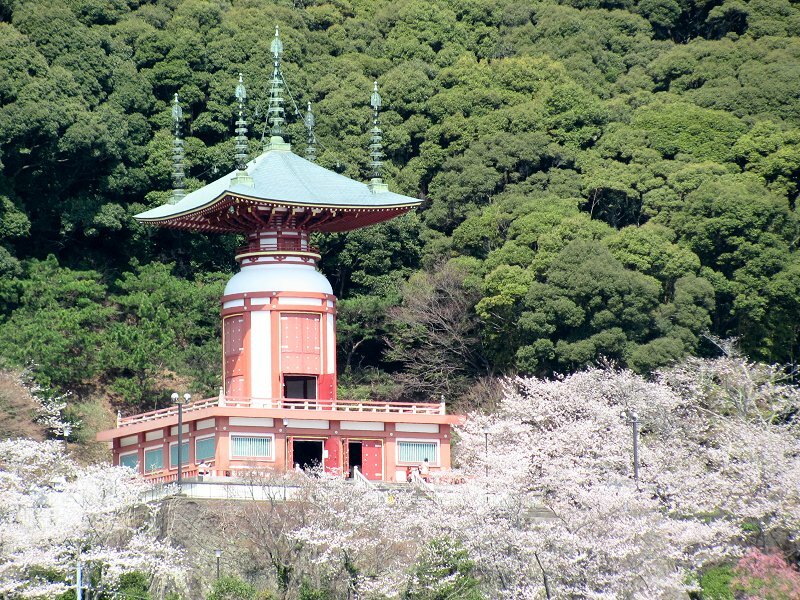 Yakuo-ji floating on a pink cloud of cherry blossoms. After the visit to Yakuo-ji, we headed off on our walk along the Shikoku no michi. 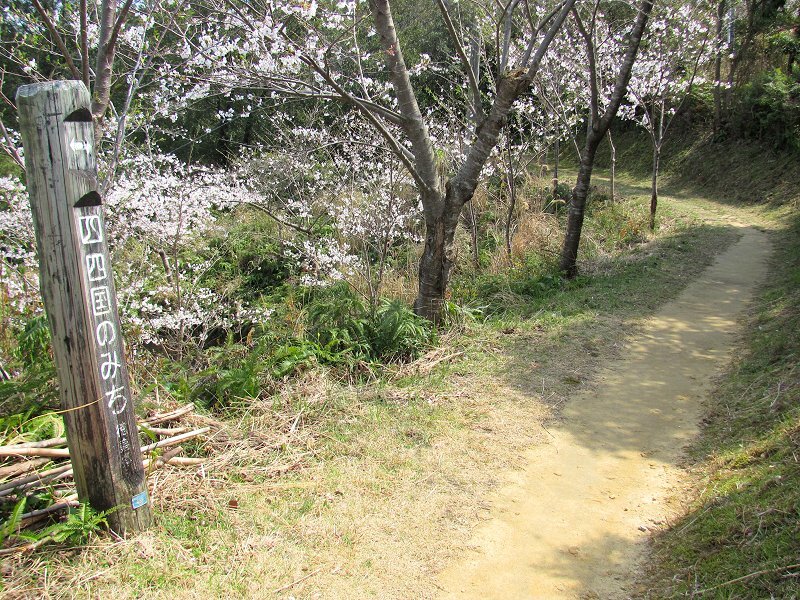 Near the reconstructed Hiwasa Castle, the Shikoku no michi became a beautiful, broad and level path. 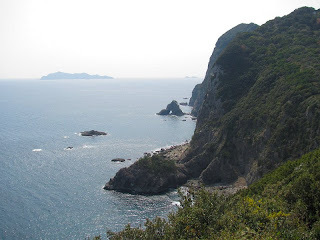 The path shortly led us to the top of the cliffs that line Shikoku's eastern shore. We enjoyed beautiful views over the Pacific and up and down the rugged coastline. The trail undulated quite a bit, several times gaining elevation before losing it again. 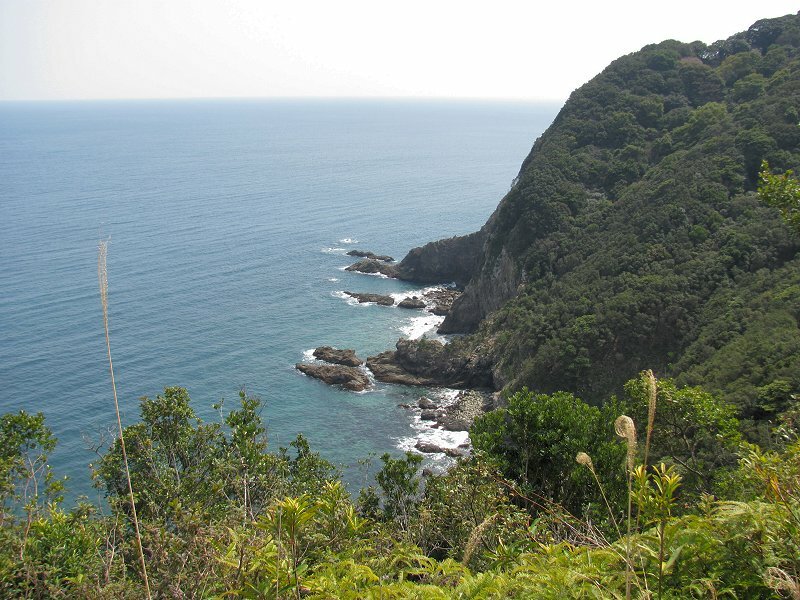 It was bit of a workout, but the trail was well-maintained (with some switchbacks and a lot of steps), but the views made it all worthwhile. 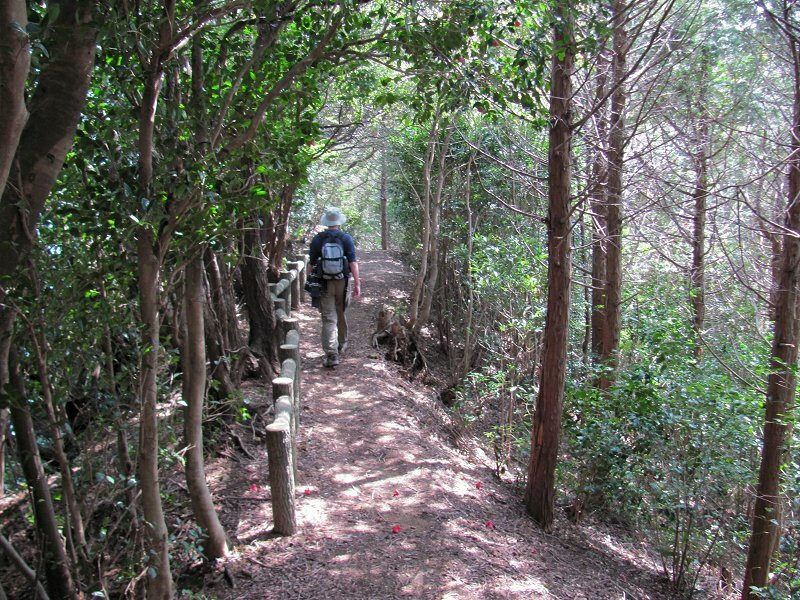 David on the Shikoku no michi heading toward Yamagawachi on one of the path's gentler stretches. 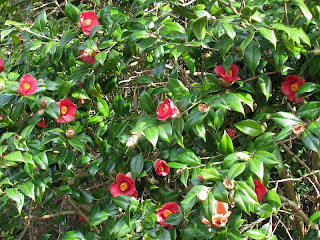 And all along the trail there were violets, a variety of ferns and blossoming camellias!